Welcome to the home of the Iowa State University Extension and Outreach blogs, where ISU Extension program specialists share their expertise. These blogs are an excellent way for ISU Extension and Outreach faculty and staff to share their thoughts on current topics and for you to engage in conversations with the bloggers and other visitors. Did You Know is a blog maintained by John Lawrence, Vice President for Extension and Outreach, for extension staff, faculty, and county council members. Posts are intended to spark conversation on our history, programs, and issues affecting the organization. The Spend Smart. Eat Smart. blog focuses on sharing ideas, tips, resources and recipes to help you feed your family for less. Blog contributors are Iowa State University Extension staff members trained in food, nutrition, and health. Families AnswerLine at Iowa State University began in the spring of 1975. Staff provide immediate, unbiased, research-based answers to questions that are related to home economics and family living. Questions can be directed to AnswerLine via phone or email. 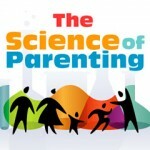 Science of Parenting believes in the power of parents who, when armed with trustworthy information, are better able to make decisions about what is best for their children and their family. We offer parents access to current research around child-rearing so they can find information when they need it most. In Iowa, there has been growing interest in local food production, especially fruit and vegetables. The blog provides updates on various aspects of vegetable production in Iowa and is intended to serve as a platform for communication between researchers, students, growers, extension staff and folks interested in vegetable production. Several financial educators — grounded in the same core of solid financial management research and practice, but each a unique point of view — offer new money tips each week. Saving, getting out of debt, buying wisely, looking to the future — whether you are just starting out, or already well-established, MoneyTip$ will help you make the most of your money. 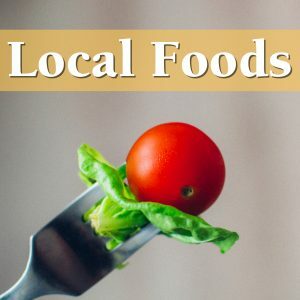 The Local Foods blog is your source of news about the work of the Local Foods Team. Stay current on how the team and its partners are supporting local foods-related programming all across the state through research and professional development, as well as the publications and resources we provide for anyone working to develop local food systems in their communities. The Words on Wellness blog promotes a healthy lifestyle. In each post, you’ll gain reliable, research-based information about nutrition, exercise, and food safety, and explore the power of incorporating healthy practices into daily living for you and your family. This blog is designed to keep readers current on court cases, legislation and other current topics in land use planning and zoning across the Midwest. I will work closely with dairymen in developing more processing capability and enterprise financing plus dairy youth programing. “Over the years I have specialized in non-traditional programs that met the needs of citizens, from resource management and disaster response to new enterprise development; with every program driven by the needs of producers”. Extension crops specialists and field agronomists strive to increase the level of awareness, understanding, and adoption of current agronomic and pest management practices that make the best use of soil resources and crop inputs. This blog provides a scientific perspective on the science of manure, including its management and handling, options for treatment, use as fertilizer, impact on environment and new technologies to improve its use. The blog opens the door to relationships and resources relevant to the pursuit of sustainability for Iowa’s smaller-scale, entrepreneurial farm enterprises.